The Alliance is pleased to provide Forum participants with a selection of site visits to showcase the wide range of fuels, technologies, and business models that our partners and grantees are employing in the field. You may register and view prices for site visits either through the attendee registration form or the accommodation page. A two-day/one night trip to Dholpur and Agra to see a multi-fuel/ technology clean cooking intervention by Tata Trusts; followed by a visit to the Taj Mahal, one of the world’s most iconic landmarks. 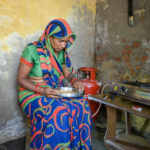 Tata Trusts, one of India’s oldest philanthropic organizations, is implementing a clean cooking program, supported by Frontier Markets and Pradan, through an innovative model that empowers women to be the drivers of change. Participants will visit village homes of users of a range of clean cooking solutions from improved biomass, induction to LPG and interact with local women entrepreneurs trained under the ‘Easy Life Friends Program’ to create awareness and facilitate sales of clean cooking solutions. 0900 hrs: Return to your hotel for breakfast. President’s Smart Village Initiative at Tajnagar, implemented by the Skill Council for Green Jobs is focused on green energy generation, energy conservation, waste management and related skill development. Provision of clean cooking is a significant component of this and with support from the Indian Renewable Energy Development Agency, various solutions have been provided and participants will get the opportunity to visit the homes and interact with users of these solutions and get a first-hand account of their experiences. 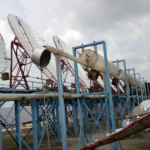 Community Solar Steam Cooking System at Bramhakumari Retreat Center in Gurgaon is an institutional solar cooking facility with a capacity of 800 kg steam/day with maximum pressure of 10kg/cm². This state of the art facility is equipped with a 280 M² concentrated Solar Project which uses Scheffler Dishes for the purpose of steam cooking. This system has been used to cook about 2000 meals/ day and is estimated to save about 35 litters of diesel every day since installation. 1230 hrs: Continue your drive to the BK Retreat Centre (16 Km). Prime Minister’s LPG Program was launched in May 2016 with the objective of providing 50 million rural, poor women with cooking gas connections. In just over a year, 30 million connections have been provided. In addition to interacting with officials from Indian Oil Corporation, Bharat Petroleum and Hindustan Petroleum – the 3 main Oil Marketing Companies implementing this program with support from Ministry of Petroleum and Natural Gas, participants will also get an opportunity to observe the supply chain through visiting warehousing facilities and meeting local distributors and users of these connections.